Well, unfortunately there are no trains but there are a number of Melbourne airport transfer options available. 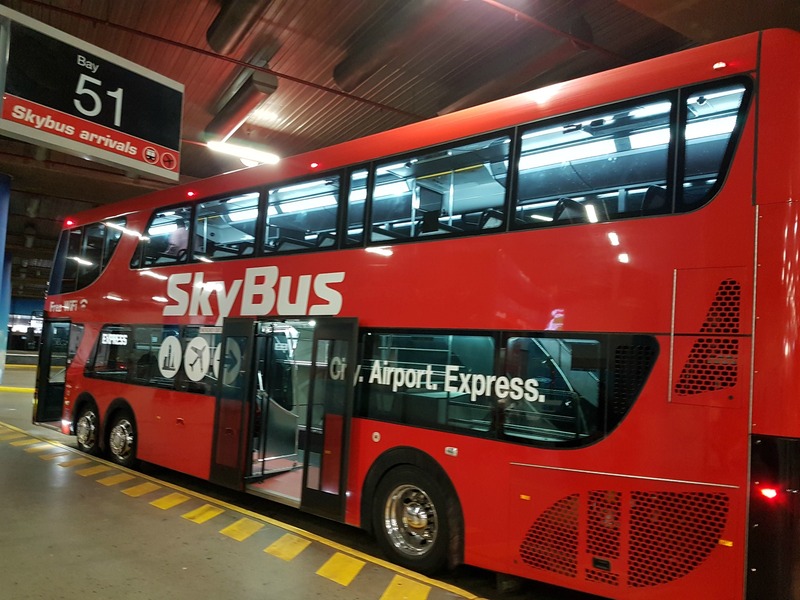 1/ Catch the SKYBUS – good value at $18 per adult but with some good points and bad points. 24 hour service - frequent services throughout the day and also run at intervals through the night. Terminus in the city is at Southern Cross railway station so good for onward train connections. Your fare includes a change of bus connection to hotels in the CBD (Central Business District). No need to book in advance as buses are so regular - every 10 minutes at peak times. 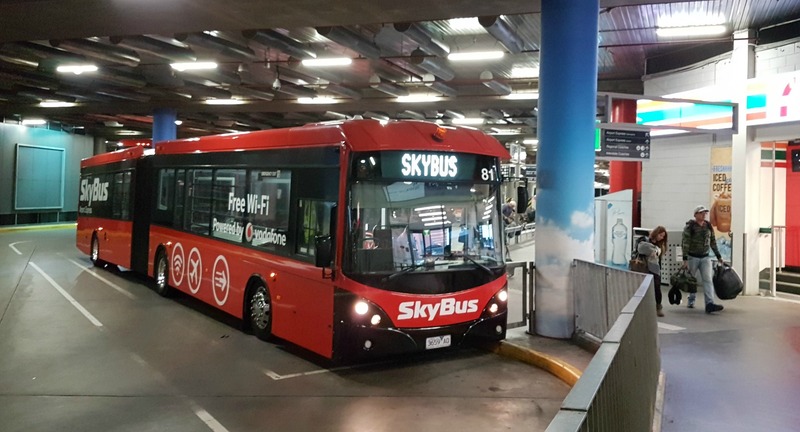 Some Skybus travel to St Kilda and even down through Frankston to the Mornington peninsula if you book them well in advance. Only covers the central CBD area. You have to change buses at Southern Cross railway station to get to your hotel - not a problem if you're young, fit and cash-strapped but inconvenient lugging your luggage around between the buses and hanging about while the changeover is arranged. If you've flown a long way to get to Melbourne you'll be tired and a change of buses won't be much fun. Superior door to door service for same price as the Skybus ($18 for adult ticket). Larger area covered than Skybus - a 3km radius from the CBD. Although adult tickets are higher for the increased service at $20-$25 this is still well cheaper than getting Skybus and then a city centre taxi. Buses run about every 15 minutes at peak times. If the bus is busy it can take a while to reach your hotel if you're not in one of the first hotels the shuttle decides to stop at. Service only runs between 6am and 7pm. Although you don't need to book in advance, Starbus give priority to pre-paid customers so if you do intend to use Starbus then it'd be a good idea to book your ticket HERE. Getting return tickets at the time of booking will also save you money. It's only $1 cheaper with Skybus but YOU CAN SAVE $6 WITH STARBUS on an adult ticket, paying only $30 return if your hotel is in the CBD - so that makes it cheaper than Skybus AND you get door-to-door service - a no-brainer really!! Book Starbus. Good if there are a group of you as obviously it's much quicker because you won't be stopping off at other hotels first but beware that some taxi's charge extra for the road tolls which they don't warn you about when they give you the initial quote and if you get stuck in traffic you'll also get landed with a bigger bill at the end. .......And they meet you when you come out the baggage claim area so there's no hunting around wasting time looking for your transport when you land. THIS COMPANY has mainly good reviews at the time of writing this page. Expensive but may be practical, especially if you're off on a tour but be careful not to venture onto the toll roads unless you want a big bill sent to you! Try www.carrentals.co.uk - it's a 'compare' type site which lots of the reviewers say have much better deals than many of the other hire car websites - and although it's a co.uk website it has good deals in Australia too. Melbourne actually has two airports, the main one is Melbourne International airport which can also be known as Melbourne Tullamarine airport. This is only 12 miles from Melbourne city centre. 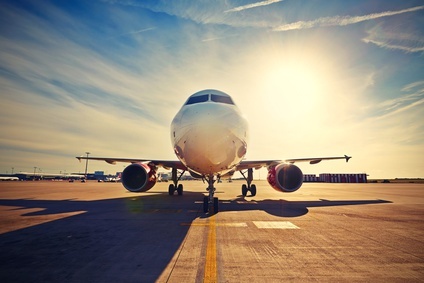 In most cases your plane will be arriving at the International airport. The other airport is Avalon airport which deals mainly with the interstate Jetstar flights. If you're arriving in Avalon airport I’d recommend that you use the Skybus as this airport is almost an hour away from the city so a taxi would be very pricey and Starbus don't provide a service from here. From Avalon airport Skybus charge $22 into Melbourne CBD which is very good value.